“The failure to act is much more often the product of inner, emotional resistance than external resistance. To move forward you must give up your story, whether it is excuses about your childhood, lack of education, your “bad luck”, your unsupportive family, your low metabolism, where you live, etc. ” trying to get out of my “funk” and get fit again. I’m trying to tone up and prepare for the tough mudder in October. I’m skinny just not “fit”. These are good goals. And from speaking to her I could tell she really WAS in a “funk”. The good news being for fitness goals like these, there’s a 100% success rate. As long as one thing happens. 8am Saturday morning came and there was no Mary. She just couldn’t get herself up and over the hurdle of showing up on a Saturday morning to take the first steps to becoming the best version of herself. And it’s interesting and instructive and we can learn from her failure. The power is IN the showing up. Every decision you make is either moving you in the direction of your goals or away. By allowing your internal resistance(your reasons, your excuses, your story) to hold you back, you simply don’t show up. And you not only don’t move toward your goal, you move away. Today Mary’s not exactly where she was on Saturday, she’s further behind. Because she didn’t show up. Her conditioning to NOT show up is stronger now. Here goals further away. There is no neutral decision. Compare and contrast that with Laurie who at 9am did show up. 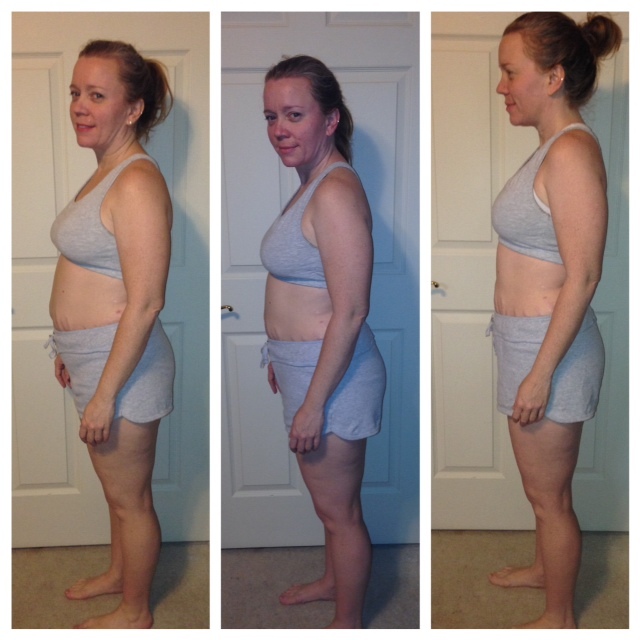 Laurie wants to drop 15lbs, while toning and tightening her entire body. She told me her 3 children had really done a number on her body and she wanted to feel confident again. We looked at where she’s at now. we got a plan together,we dialed in her nutrition, she got her first workout with me in on Saturday afternoon. This morning she was back in before work this morning for her second workout. Look at the difference showing up made for Laurie. She’s been eating better for 2 days and she’s knocked out 2 workout already. She’s going into the week ahead. You want to condition yourself to do what you say you’ll do, to be where you’ll say you’ll be, to think the thoughts that move you forward not back. Again there is no neutral decision. And it all begins with one tiny little decision. Against all of your internal resistance. So you must push forward. Against this resistance. Let today be the day you let go of your history, your story, the negative circumstance that holds you in place. The magic is in that one action..showing up. And then showing up again and again and again. You can just as easily change your life today as any other day. You don’t have to wait for January 1st. Let this be YOUR day. P.s. Ready to “show up” and get results? Lose the weight, get lean and feel better than you have in years. Fast.